With so many options and so much competition, diners are justifiably picky about where they dine out. So we dug into our data to better understand which QSR chains are winning when it comes to customer loyalty. Our QSR Loyalty Index is an assessment of the top 50 QSR chains in the United States ranked according to customer loyalty. 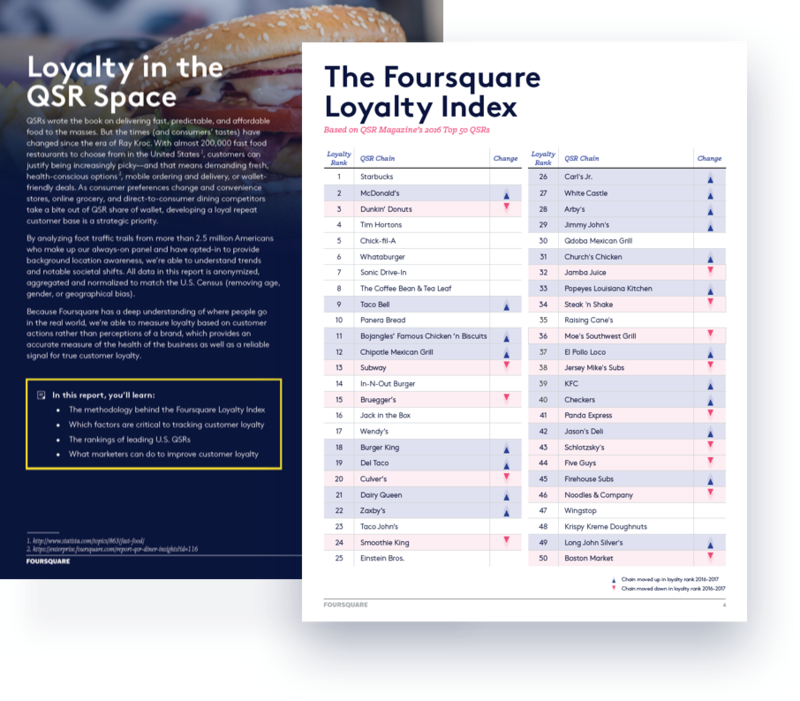 Foursquare’s Loyalty Index assesses a number of complex behaviors and inputs, and distills this data into a single metric that can be compared across chains and QSR categories. For this analysis, we looked at penetration, visit frequency, share of wallet, and fanaticism to determine which chains have the most loyal visitors.